It’s well-known that Bollywood hit machine Rohit Shetty has acquired the rights to remake NTR-Puri Jagannadh’s 2014 action drama, Temper, in Hindi. Ranveer Singh will reprise NTR in the Bollywood version. 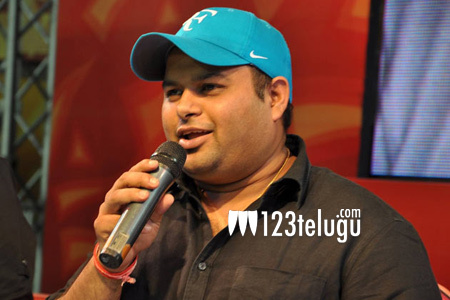 At a recent media interaction, popular music composer SS Thaman revealed that he is going to score the music for Temper’s Bollywood remake. Incidentally, Thaman made his Bollywood debut by composing the title track of Rohit Shetty’s recent blockbuster, Golmaal Again. Temper’s Hindi version will go on floors in early 2018. The film is expected to hit the screens for next Diwali.